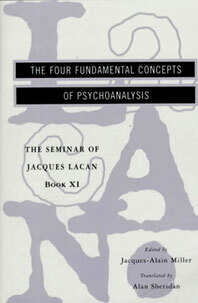 Jacques Lacan's writings, and especially the seminars for which he has become famous, offer a controversial, radical reappraisal of the legacy bequeathed by Freud. This volume is based on a year's seminar in which Dr. Lacan addressed a larger, less specialized audience than ever before, among whom he could not assume familiarity with his work. For his listeners then, and for his readers now, he wanted to "introduce a certain coherence into the major concepts on which psycho-analysis is based," namely, the unconscious, repetition, the transference, and the drive. Along the way he argues for a structural affinity between psychoanalysis and language, discusses the relation of psychoanalysis to religion, and reveals his particular stance on topics ranging from sexuality and death to alienation and repression. This book constitutes the essence of Dr. Lacan's sensibility.